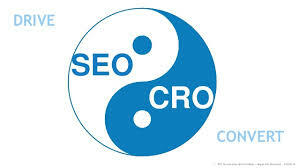 SEO or CRO you decide! Home AdWords Management SEO or CRO you decide! Click Convert has always been proud of the fact that we are industry leaders in the world of Google AdWords Management, Mentoring and Training. However these past few weeks we have been doing some training ourselves. As with all businesses we can’t afford to let the grass grow beneath our feet so we have been looking at how we can expand the service we provide for our clients. Now we already provide SEO for a number of clients and we have had great results however is great good enough what do we need to do to get exceptional results. Upon this we decided to speak with a leading expert in the SEO business and decided to take some further training to add to our knowledge. I won’t bore you with the ins and outs of the training however we learned a lot from it, primarily that traditional SEO as we know it is a dying if not already dead. The biggest thing we understood is that to be at the top of the game is that once you have completed the technical onsite optimisation you then need to become a PR agency and get yourself talked about whether that be social media or good quality industry specific bloggers. Along with this the creation of good relationships within your marketplace will give you better quality links which will give you better rankings with Google. Google is always looking to penalise people when it comes to organic rankings however there are many things you may try to do to rectify issues from previous SEO techniques that may bring yourself unwanted attention from the dreaded Google Police! The main point is this, if you want good SEO then it is out there to get however if you want it you will need to pay for it as it is very time intensive and needs a great deal of patience. There isn’t a magic switch and if results are seeing an improvement within 3-6 months then you are doing well. As you all know time is money and therefore SEO can become pricey (upwards of £1000 per month) and is a long term commitment if people are offering a rolling month to month contract act yourself are they seriously committed to getting you the results. The question that we all asked was if you are committing this amount of cash what kind of results can we expect when it comes to conversions and the answer to this was that will be an improvement but it is difficult to say what that improvement will be. This got us thinking, we have always been obsessed with conversions although CTR’s, Bounce Rates, Visitor numbers etc… are important building blocks the ultimate measure of success of a business is sales! If you have 100 people a day visiting your site and only one of them buys from you. That’s 7 a week maybe 30 a month this brings you a turnover of £10k, people have gotten into the habit of thinking ok I need a turnover of £20k so I need 200 people a day! That’s just madness trying to double your visitors; it costs more for a start. So what can you do? CRO or Conversion Rate Optimisation focuses on getting your current visitors to buy more taking your 100 people and getting 1 more person to buy per day all of a sudden you’ve doubled your sales which means you’ve now hit your £20k target at no extra cost! A 1% increase from 1% to 2% has just increased turnover by 100%. Now this is no walk in the park as there is a lot of research to be done into your customer’s way of thinking, your competitors and how they do things and what can and can’t be changed within your business. We then create a plan of action which is then put into action this plan utilises a number of external and internal tools to implement a number of split tests. The results are then analysed and the most productive options are then implemented. The idea is that by making incremental improvements to your online strategies makes for a greatly improved turnover. Although there is a lot of time spent on the research component of CRO it is generally more affordable and yet has yielded much greater results than SEO alone. Meaning more money in your pocket and that’s why we’re all in business.Of course if you can afford both then you truly are onto a winner but as I mentioned both of these online marketing avenues need patience, time and overall commitment from both you and your agency. If you want to discuss your options with Click convert then pick up the phone and call now to arrange a chat with one of our business analysts. John Langley is the founder of the Adwords and Paid Search mentoring industry in the Uk. John founded a new style of AdWords Mentoring in the UK in 2010 after becoming disillusioned with using Adwords agencies. We began helping small businesses to succeed online, but many of our earlier clients have become market leaders due to our outstanding marketing campaigns. Over 2400 clients later we lead the market in No Nonsense Digital Marketing - our motto is ‘We Get It Working’. We have offices in the Uk and the USA helping clients globally. lazada phillips on Do you know the one thing that will totally transform Paid Search in 2015? evangeline koonce on Do you know the one thing that will totally transform Paid Search in 2015? © 2019 — Click Convert, All Rights Reserved.